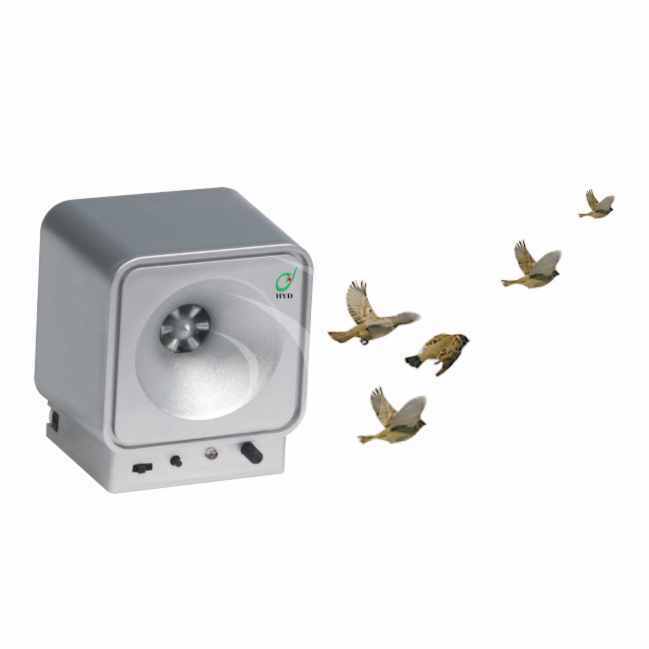 Adapting high-tech methods,this product can give out high frequency nosie which can make the bird not stand it and they fly away.The frequency should be always changing to keep its good effect. The product doesn’t use any chemical medicament,no mist,no smell,no any pollution for environment,no harm to the human body and pets,which can widely used in farm,etc.Its effective area can cover around 1000 square meter. 2.AC 220V/.50Hz or 110V/ 60Hz power system must be confirmed before using it. 3.It should be installed as high as possible from the ground. 4.The effects will been seen immediately as soon as it used. 2. Each week can change the frequency from low to high. 3.Without the power line and after fully charged,turn on the switch,the device will begin to work. 4.When charge the device,should turn on the switch,then the indicator will be two color led lighting.It need to charge 12 to 15 hours.and you can rotate the tesing button to lower the sound.